Oh, my. Alta that is so creative and gorgeous. What a unique way to use those buttery Naturals. I also appreciate the very specific grilling instructions since I am challenged in that area. Thanks so much for this beautiful contribution. 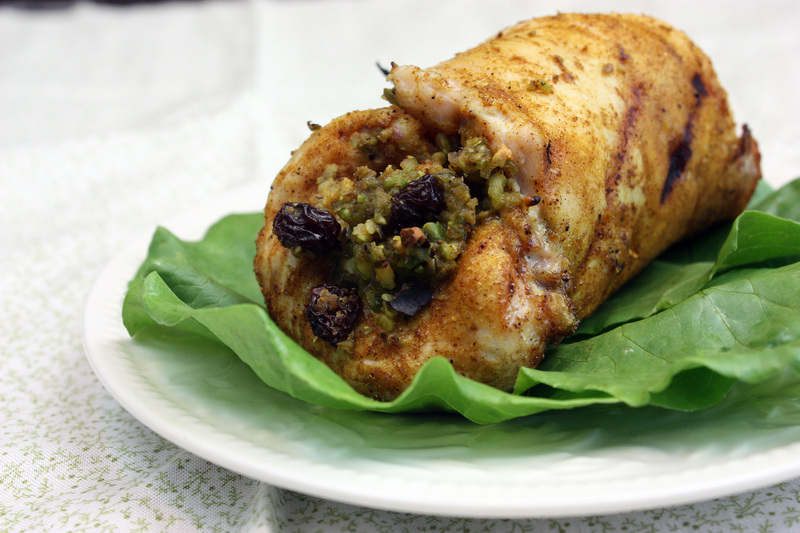 I’d love to try it, if I can keep myself from eating all the olives before I make the stuffing. Wendy – thank you so much! The good thing about this recipe is it still leaves about half of a can of olives…plenty for munching! Wow, nothing like putting “simple” and “fancy” together in one recipe! You’re my kind of recipe developer. =) I’m absolutely addicted to curry and mixing pistachios and olives into the mix is a brilliant idea. Raisins are a natural, but the nuts and olives lend a unique touch. I’m with Wendy, thanks for the detailed grilling instructions. I appreciate that. That looks delicious, and actually, that’s exactly what I’d like to make with olives! I’d have to replace the pistachios with sunflower seeds, but other than that, the recipe sounds perfect! (Well, it sounds perfect as is…I just don’t think pistachios would agree with me, although I love them). Looks like an awesome recipe that I will have to try. I’d love t0 compare those CA olives with our local Italian olives, but I doubt you want to ship them all the way over here! 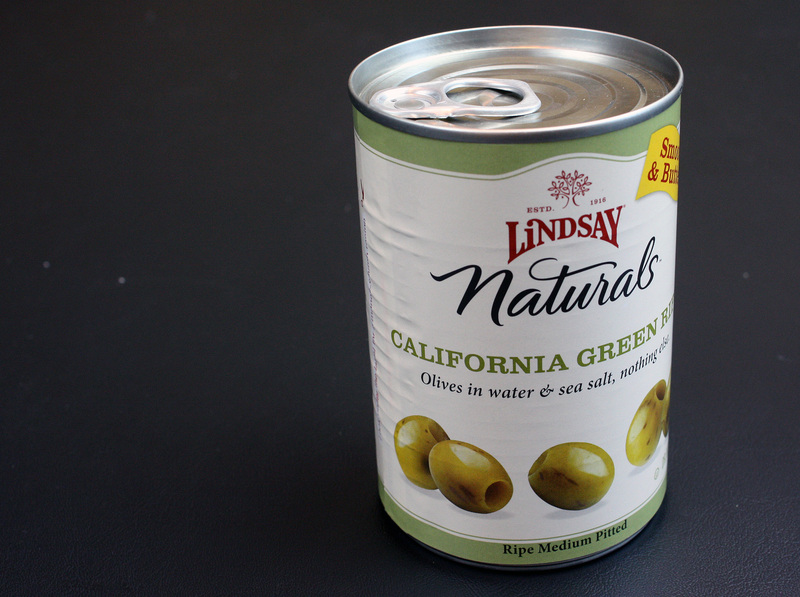 Wow, I have to make THIS with Lindsay Olives! I’ve never seen these in the store and now I want some. I buy their jumbo black olives by the 6-pack. Now I’m going to have to look for these. Just a gorgeous dish! This recipe sounds great. I’d love to make it. One of my favorite things to put olives on is pizza. They’re my favorite topping. The stuffed grilled chicken breast looks so yummy. I would love to make the humus ricotta herb and olive pizza I saw on the Lindsay Olives website. It looks delicious. Wow, after reading this post and checking out the recipe, I want to make THIS!!!!! YUM! I am an olive Lover for sure. I can be found going to whole foods and getting a small container of all different olives nearly every week. I can’t wait 5 minutes even to get home before munching down on them. I like adding them to my egg scrambles in the morning, to my LOADED gourmet pizzas, and have even used them in my chicken dishes, though never with curry and raisins, which I will now do! 🙂 YUMMY! Twosisters – olives in egg scrambles? Definitely going to have to try that! Wow this looks amazing! I’m definitely going to have to try this! If I got the olives I would either be making this recipe or using them for a gluten-free and dairy-free quiche! OMG they look so delicious. I can’t wait to cook these. I’m heading out for chicken breasts and chilling the wine. There is going to be a party with these for sure. I love those natural olives. yum yum yum-that looks sooo good! I’d love to try tapenade or an olive pesto. Wow! Gorgeous recipe, love the olives and psitachios. This is going on my must try list for sure! Love your Recipe! If I had some good quality olives, I’d use them with quinoa and make a salad with feta on top! Yummy. Tapenade! I’ve been strangely craving it lately. While your chicken breasts are really tempting, and so are the ideas in these comments — especially the pizza! — but I’d also like to put green olives in a potato salad with onions and artichoke hearts. This sounds so good – and looks so elegant!